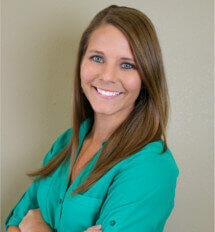 Liz Davis is diligent in the importance of continuing education and committed to the profession of physical therapy. Prior to joining the STAR team, she earned her Doctor of Physical Therapy degree at the University of South Alabama where there was an emphasis on rehabilitation for orthopedic and neurological injuries. Liz was born in Charleston, IL and eventually traveled to the south earning her Bachelor of Science in Kinesiology at Louisiana State University. She now resides in Covington, LA.